CGBSE 12th Class Admit Card 2019: Chhattisgarh Board is expected to release the 12th Class/Higher Secondary Admit Card soon on its official website, cgbse.nic.in. All the students who are going to appear the 11th class, 12th class examinations in Chhattisgarh can get ready to download the admit cards from the CGBSE portal. The hall tickets for all branches such as Maths, Arts, and science will be accessible soon. Hence the students can get ready to download the hall tickets. The academic examinations will be held in the months of March/April as per the scheduled dates. Students can check the CGBSE 12th Date sheet 2019 clearly before attending the examinations. Students can prepare well according to the examination dates. Students must have a clear understanding of the examination dates. Candidates have to attend the theory and practical examinations as per the scheduled dates. 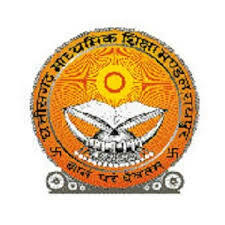 Chhattisgarh Board of Secondary Education is a board of school education in the state of Chhattisgarh. The board was formed in the year of 2000 and the headquarters was situated in Raipur. The board monitors the promotion and development of secondary education in the state of Chhattisgarh. Every year, the board organizes examinations in the month of March. Many of the government/private schools are affiliated to CGBSE. Every year lakhs of students appear for the class 10th and 12th examinations. The board organizes the examinations across many centers of the state. Students presently pursuing in various affiliated schools in Chhattisgarh can attend the examinations as per the scheduled dates. Students must download CGBSE 12th class roll number slips/call letters 2019 to proceed with the academic examinations. The hall tickets will be released by the Chhattisgarh Board before 10 days of the examinations (approximately). Hence students pursuing 11th and 12th class under CGBSE in various streams Science, Maths, and Arts can get ready to download the hall tickets from CGBSE official website, cgbse.nic.in. Candidates can check all the details once after downloading the admit card. Candidates can complain the authorities for any corrections in name, date of birth or any other columns. The board will rectify the field and re-issue the hall tickets. Students who are appearing in Chhattisgarh 12th class exam visit Chhattisgarh board official website i.e. cgbse.nic.in. Select how to download By Registration/By School Code. Enter required info like Registration number and Date of Birth if you select download by registration or enter College code for download Higher Secondary Admit Card by name. Click on Download. Admit Card will appear on your device. Save and take print of your Admit Card. Keep a copy of Chhattisgarh Higher Secondary/12th class Admit Card 2019 for future reference.